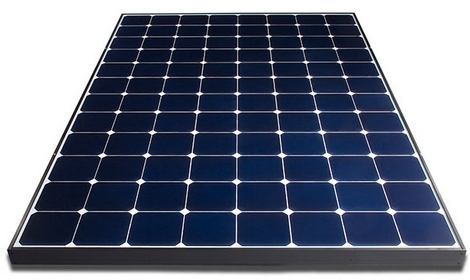 Selecting a quality solar panel from the hundreds of different models and manufacturers can be a very difficult task. Here we provide a guide to choosing the best panels based on quality, efficiency, reliability, performance and return on investment. We also offer insight into the many innovations being used to improve panel efficiency and performance in our detailed solar technology review. For those not familiar with solar, read our introduction to solar panels here. In summary solar photovoltaic (PV) modules or simply solar panels have not changed much in basic function over the last 30-40 years. Virtually all solar panels still use a series of silicon cells to convert sunlight to DC electricity. What has changed dramatically is the efficiency of the cells and more so the huge cost reduction to manufacture panels, which has come down by over 80% since 2008. Unlike solar inverters the biggest problem when comparing solar panels is they generally look very similar with nothing obvious to distinguish between high and low quality products. Unfortunately many solar installers and customers only have the glossy brochure to go by, which can easily baffle people with clever marketing and slogans. The common 'Tier 1' rating is also misleading and does not guarantee and panel is free from defects or will perform over the life of the system. The Tier rating was developed by Bloomberg New Energy Finance Corporation to rate solar panel manufacturers in terms of financial stability, it does not mean a panel offers the highest performance or quality. This is why a manufacturers reputation and history are just as important as their perceived quality. SunPower and LG energy are two manufacturers widely known as producing some of the highest quality solar panels with lowest degradation over time and best warranty conditions, however these panels also come at a premium price. In addition to the Tier 1 rating it is important to select a quality and reliable panel based on company reputation, warranty details, test results and manufacturers service. Premium module manufacturer Winaico perform strict quality control using optical sensors throughout the assembly process. Determining a quality panel is made difficult as it is not something which can be pulled apart and checked; panels can only be assessed using specialised equipment which highlight small faults or hot spots, but this can change once the panels are installed outside in the weather for a few years. The sun’s UV radiation and high summer temperatures create extreme conditions for any roof top mounted solar panel and it can take 5 years or longer before any potential quality issues become apparent. This is why the manufacturer’s warranty period, service history and reputation are essential to selecting a quality solar panel. Solar PV technology is constantly evolving and many new panel technologies have only been on the market for a few years. Solar panels ‘should’ have a lifespan of 25+ years so it is vital to use a manufacturer which has both a solid reputation and likely to still be in operation in the future to backup any warranty issues. The standard warranty period for solar panels sold in Australia and most of the world is a 10 year product warranty, also known as a manufacturers warranty, and 25 year performance warranty. The product warranty is the manufacturers warranty which protects the customer against defects which occur from both manufacturing issues plus component or material failures. This means the manufacturer must either replace or provide a refund for solar panels which fail within the product warranty period. In general solar PV manufacturers must provide the minimum 10 year product warranty but a growing number of premium manufacturers (highlighted below) offer 12, 15 or even 25 year product warranties. The performance warranty also referred to as the 'power output warranty' ensures that the solar panel still produces a minimum power output after a specific amount of time. Once installed outside and exposed to sunlight, UV radiation and weather all solar panels slowly reduce output power over time (usually less than 0.8% per year). The common industry standard is 80-83% power output retained after 25 years however some high-end manufacturers such as Sunpower and LG guarantee 86-92% power output on most modules after 25 years of use. There is also a growing number of manufacturers now offering 30 year warranties on the unique dual glass and bifacial solar modules. Here is our short list of the best quality and most reliable panel manufacturers supplying the Australian market based on company history, quality, real world performance and feedback from solar industry professionals. See full details and description of the most popular high quality modules from the leading manufacturers using the links below. Like most things, premium equipment also comes at a premium price. SunPower are considered the world leader but generally cost around 30% more than the competition. LG panels also come at a higher price but have a range of panels which are more competitively priced and widely available which put them at the top of the list when it comes to both quality and value for money. How much more do high quality panels cost? The additional cost for premium quality panels from the leading manufacturers is typically $1000 - $1500 on a regular 5kW system. This is not a lot extra for panels which will no doubt outperform and outlast cheaper panels by many years. When considering Return On Investment (ROI) it is necessary to take into account performance and degradation rates over the life of the system. Lower cost solar panels will mean lower upfront costs and may perform well for many years but over time (usually 4-6 years) most high quality panels will still be operating closer to the maximum power rating which means higher energy yields and greater returns. After 20+ years the higher quality panels will no doubt be out performing low quality panels by 10% or more which is a considerable amount when you calculate this over the annual generation. One of the world’s leading independent solar module testing and performance services DNV GL produce the annual 'PV Module Reliability Scorecard Report'. The 2018 PV module scorecard recently released in May 2018 consists of four durability tests explained below. Over the last few years most of the top rated solar panel manufacturers have consistently scored as a ‘Top performer’ among many of the world’s leading solar brands tested. A top performer does not mean they are ranked as number 1 but among the highest performing module’s in the group with no severe degradation or failures. DNV GL is one of the world’s most reputable, independent solar PV testing companies and so can provide a high level or confidence to the long term performance and reliability of solar modules for both large and small scale installations. The scorecard rating is based on the four rigorous durability tests listed below which put panels through extreme temperature, humidity and loading to simulate the most severe real world conditions. Thermal cycling test - Measures the module durability in extreme temperatures resulting in expansion and contraction. Damp heat test - Measures module durability in high temperature and humidity and examines for signs of moisture ingress or corrosion. Dynamic mechanical load test - This involves cyclic loading in extreme conditions causing module bending to simulate high wind and snow loads. PID or Potential induced degradation test - measures current leakage or loss of power under high voltage, temperature and humidity conditions. For more detailed information or solar module test results from numerous panel manufacturers it is recommended to refer to the annual PV Module Reliability Scorecard Report. All solar panels suffer a small amount of power loss or degradation over time which is why the performance warranty allows for a specific amount of loss over a panels lifetime of 25 to 30 years. PERC cell technology increases panel efficiency and has been adopted by many of the world’s leading solar panel manufacturers, however it has only recently become apparent that P-type PERC cells can suffer what is known as LeTID or light and elevated temperature induced degradation. The LeTID phenomenon is similar to the well known LID or light induced degradation where a panel will lose 2-3% of the rated output in the first year of UV exposure and 0.5% to 0.8% per year afterwards, although the losses due to LeTID have been found to be as high as 6% in the first year and if not fully accounted for by the manufacturer could lead to poor performance and potential warranty claims. Fortunately N-type silicon cells from LG, Sunpower and the new N-peak series from REC do not suffer the effects of LeTID. Also several manufacturers who use P-type poly and mono PERC have developed processes during manufacture to reduce or eliminate any LeTID losses, this includes Q Cells who are the first to claim anti-LeTID technology on all panels. REC and Jinko Solar also claim to have reduced or accounted for the effect of LeTID along with Winaico and Canadian Solar. China is now considered one of the world leaders in crystalline silicon wafer and solar panel manufacturing with many reliable well established Chinese companies such as JA solar, Jinko Solar and Trina Solar which are constantly improving manufacturing quality, panel performance and spending big in research and development. Although there are still many lower quality panels coming out of China so always ensure a company has a good track record before purchasing any unfamiliar brand. Solar module super league by PV Tech - Several of the worlds leading solar module manufacturers with the majority based in China have formed the Solar Module Super League (SMSL) shown below. The latest additions to the league in 2019 were First Solar and Risen Energy. Together these manufacturers supply more than 60% of the worlds solar panels. No only do these manufacturers supply more than half the the worlds solar panels but they hold many of the most recent records for the most efficient mono and poly silicon crystalline cells using the latest advancements in cell technology including PERC, PERT and bifacial. Many big name solar manufacturers from Europe and the US have also moved manufacturing to places like China, Malaysia and the Philippines over the years and as much of the process is actually automated the quality of products is extremely high, so long as you know which brands to choose. Q cells, JA solar and Trina Solar are well regarded by many Australian installers. LONGi Solar has recently emerged as the largest supplier of mono-crystalline silicon cells in the world and along with Jinko Solar is leading the push towards the next generation of high efficiency low cost mono PERC panels. The efficiency of a solar panel is a measure of the amount of solar irradiation or solar energy which falls on an specific area and is converted into electricity. See our complete article explaining panel efficiency and the full list of the most efficient solar panels here. The term efficiency is thrown around a lot but a slightly more efficient panel does not always equate to a better quality panel. Many people consider efficiency to be the most important criteria when selecting a solar panel but what matters more is the quality as explained earlier. Quality is related to real world performance, reliability, company history and manufacturers warranty conditions. The highest efficiency solar panels widely available anywhere in the world in 2018 are the premium N-type IBC models manufactured by SunPower and LG Energy. See the complete list in the solar panel efficiency article.